Royal Bike Tours Thailand moves to Surat Thani and increases its vintage bike collection. SURAT THANI, Thailand, February 11, 2019	(Newswire.com) - Royal Bike Tours Thailand, the go-to option for traveling adventurers and locals alike in Thailand who share a passion for the vintage, has found a new home in Khao Sok in the province of Surat Thani where it will soon be showcasing its expanded vintage bike collection. The famous tour company has seen several changes and improvements in the past year that have added new dimensions to its tours so it can continue to offer customers the ultimate experience, and now the company has implemented another change. Originally based in Phuket, the company has moved 130km to the north and into the province of Surat Thani. Known for its breath-taking mountain views the scenery provides the ultimate backdrop for vintage bike lovers. Royal Bike Tours Thailand proudly welcomes passers-by to visit and admire the fleet on display at their resort clubhouse, as well as book one of their many tours throughout the country. Royal Bike Tours Thailand boast everything the novice or experienced motorbike traveler needs during their trip including a support vehicle, accommodation, and meals, as well as excursions to local tourist destinations. When travelers book a tour with Royal Bike Tours Thailand, they cover everything within their packages which means travelers just have to sit back and enjoy the ride. Alongside the recent move, the tour company has also expanded its vintage bike collection. Other than its fleet of vintage-style motorcycles such as the meticulously maintained classic motorbikes like the iconic Royal Enfield Classic 500, and a lovingly-restored Yamaha SR500, the company has added another model. Its most recent addition is the superb Kawasaki W800. This model boasts an 800cc air-cooled 4-stroke Vertical Twin, is tuned for strong low to mid-range torque and has a low-end response and plenty of engine character. All of this makes it easier for riders to cruise the long winding roads with unhurried pleasure while riding a classic motorbike. As for exciting things ahead? Eric Limbos, the official spokesperson of the company, says that they are taking part in a Distinguished Gentleman’s Ride to raise awareness and money around suicide prevention and Prostate Cancer research. As the tour provider goes from strength to strength, it continues to provide stunning journeys on the best vintage bikes around one of Thailand’s hidden treasures. 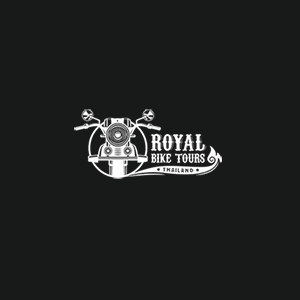 Royal Bike Tours Thailand is a motorcycle tour operator based in Surat Thani, Thailand. Our tours have been well-researched to make sure that your holiday in Thailand will be an exceptional experience.